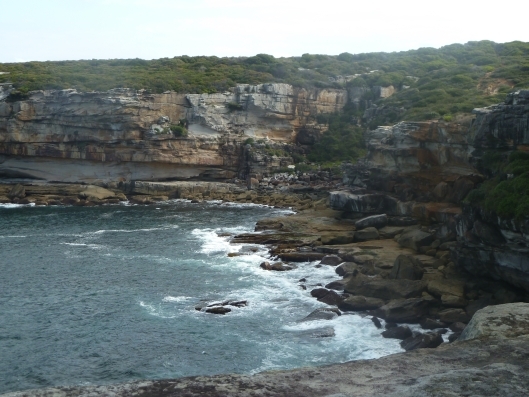 The Eastern Bushland (Malabar Headland Lot 2) is bounded by the Pacific Ocean, with South Maroubra to its north and Long Bay (Malabar) to its south. Its land area is approximately 60 hectares. 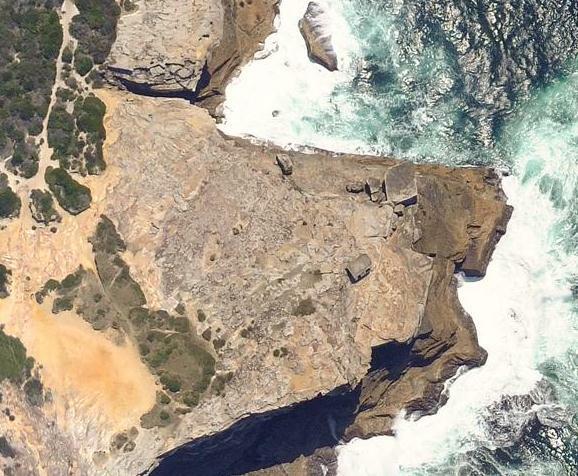 The Eastern Bushland was transferred from the Commonwealth Government to the New South Wales Government in February and will shortly be opened as the eastern section of Malabar Headland National Park. 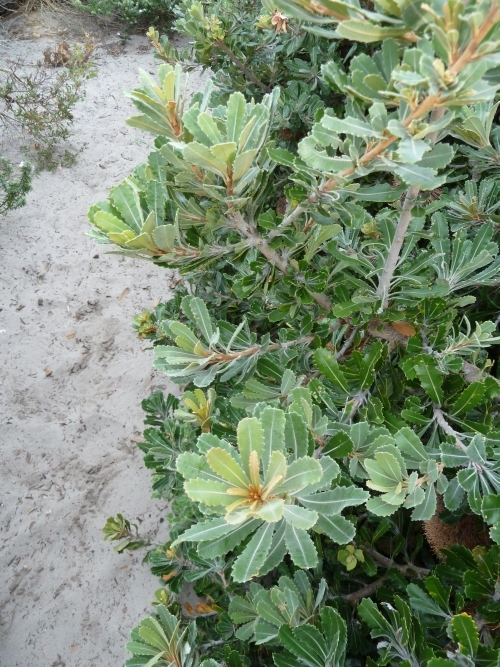 The Eastern Bushland lies within the Rifle Range Safety Template. ACCESS IS PROHIBITED ON SHOOTING DAYS. 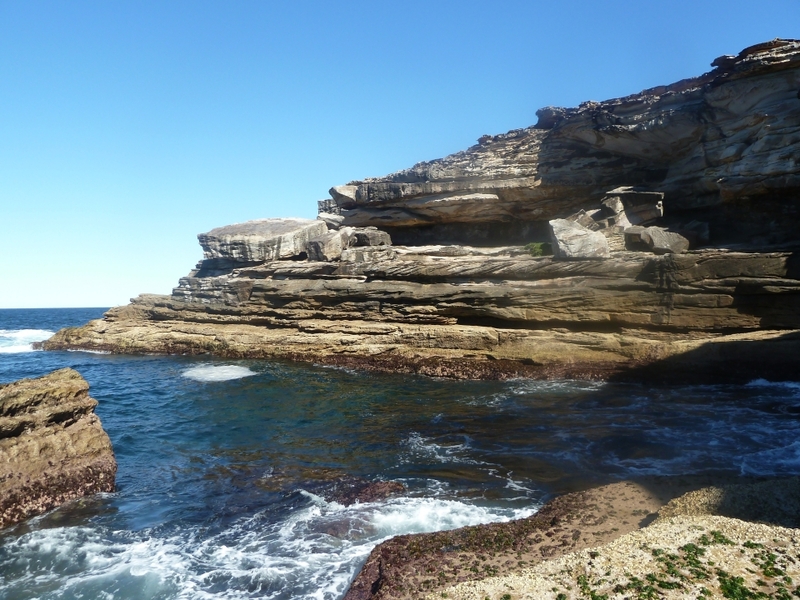 Due to its location within the Range Safety Template, the Eastern section of Malabar Headland National Park will be closed on shooting days. 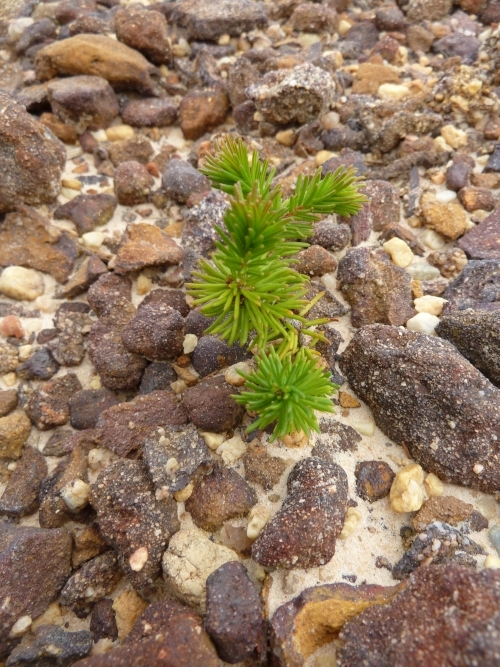 There is over 17 hectares of Eastern Suburbs Banksia Scrub (ESBS) in the Eastern Bushland, and it contains 270 recorded native plant species. 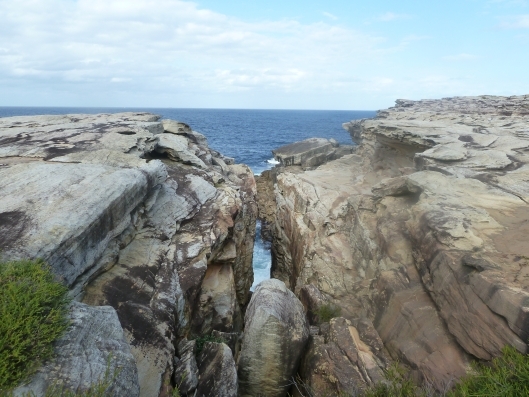 The Eastern Bushland has a spectacular coastline. 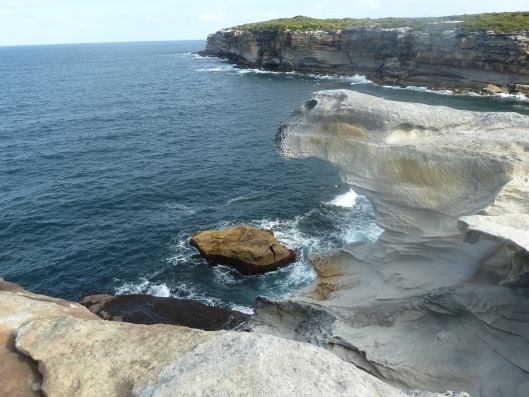 Eroded Sandstone rock formations, Magic Point; Panther Rock with Boora Point in distance © Peter Fagan. The Southern Scaly Foot lizard, Pygopus lepidopodus. 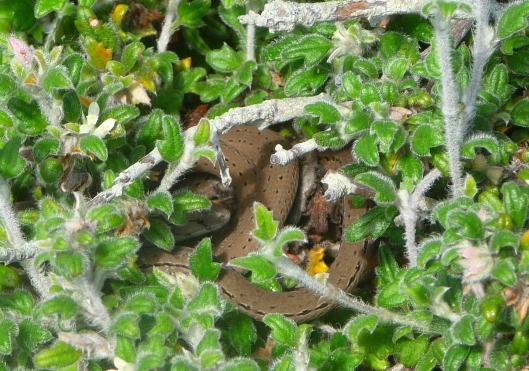 It has a vestigial foot – a flap of scaly flesh at the back of its body near its vent, and the tail is three quarters of its total length – whereas a snake’s tail is only about a fifth of its total length. Its diet is mainly spiders, caught nocturnally. 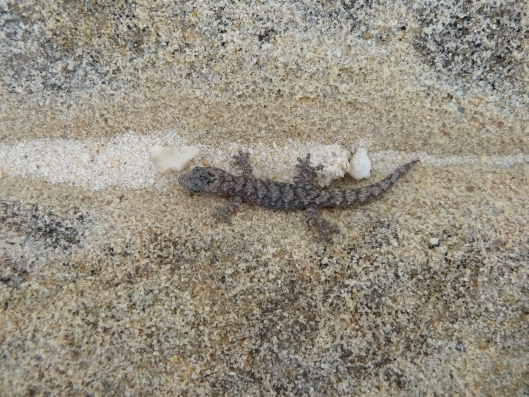 Southern Scaly Foot lizard, Pygopus lepidopodus © Claire Bettington. 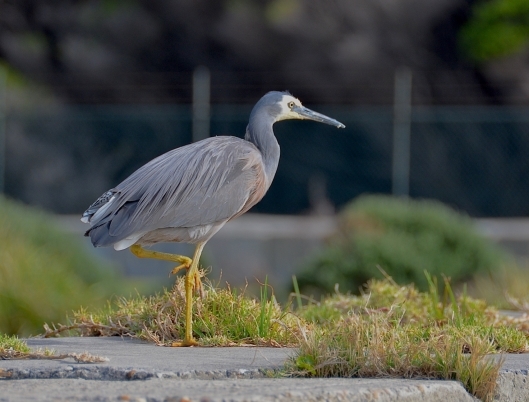 A total of 201 species of birds has been recorded in the Maroubra Beach and Malabar Headland area. 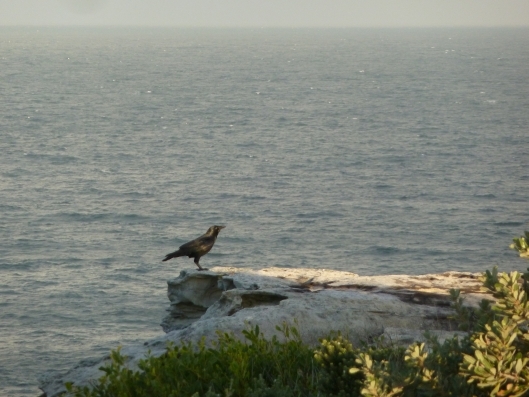 The headlands of Mistral Point (north of Maroubra Beach), Magic Point and Boora Point, are amongst the best places in the Sydney area from which to observe seabirds, with 61 species of seabirds having been observed from these headlands in recent years – see A list of birds seen in the Maroubra Beach and Malabar Headland area from 1998 to 2003, with some observations from previous years; prepared by Rod Gardner (formerly of UNSW) – Birds of Maroubra Beach and the Malabar Headland.